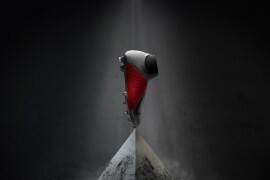 Umbro have certainly placed a lot of trust in the Speciali, emphasizing the football boot’s features and advantages with some stylish marketing. So joining in with the likes of Michael Owen, GÄ‚«l Clichy, Deco, and Pepe is Matt Dawson with his take on Umbro’s world renowned classic boot. I have to admit I have a soft spot for Umbro, it dates back to my early days as a football fan when Michael Owen was taking centre stage in world football. The fact that Umbro is one of the few remaining brands that focuses solely on football is enticing to me as well. But having been let down by both Umbro’s X-Boot and SX range, I was a little concerned the Speciali were going to do the same. Though these boots may not suit the likes of you who love vibrant coloured football boots, I have a fondness for the classic look of the Speciali. Not to say that I haven’t worn my fair share of eye-catching football boots, but the pure design mixed with the British Racing Green colours make for a very understated elegance. The little details such as the white and gold lining along the A-Frame are a nice finishing touches as well. Here in West Texas comfort is a telling sign in a football boot when you are playing in the dry heat with rock hard soil underneath your feet. With the Speciali comfort is unrivalled by any other football boot I’ve ever worn. The high density memory foam insole is extremely comfortable featuring Poron inserts for a soft and cozy feel, a bit like that of a house slipper. The toe box is roomy which is important for me as I have particularly wide feet. The boots are much lighter than I expected and offer your foot room to breathe, yet the leather molds nicely to your foot once broken in. Only having had the football boots for a short time, I can’t yet determine what the lifespan of these boots will be. However, I can say the football boots are manufactured very well and the quality of materials is exceptional. The boots are stitched and cemented like its predecessor which is always a good sign. Despite not featuring a lace cover, there’s no need to worry about the laces becoming worn down and frayed. The nylon laces are well woven and thick, ensuring a tight fit. The one downside to the laces is that they tend to catch on the Velcro pad where the traditional flip tongue attaches. The Speciali’s supple k-leather and clean upper makes for a superb feel for the ball and offers great touch. An improvement from the original Speciali, the Umbro Double Diamond logo is pressed and printed onto the football boot rather than a large stitched patch. The football boots are great for dribbling and passing, and despite not being a flash boot, allow for all the flair, flicks, and tricks that the F50i and Vapor tout. One of the few things that worried me when purchasing the Speciali was the stud placement and design. 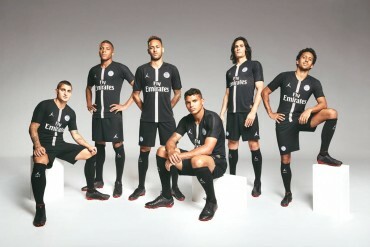 The studs didn’t appear that they would allow proper weight dispersion in the heel area because they sit further forward from the heel than on most football boots. Another anomaly was that the heel studs were shaped in the same mold as the rest of the studs, which I thought wouldn’t allow for sufficient traction. My fears were relieved in my first run out with the boots, with the studs engaging and releasing with the turf properly. The weight dispersion in the studs made it feel as if you were walking on a plush carpet, making it an extremely comfortable experience for your feet. My only complaint is that the heel studs are positioned in such a way that you feel as if your weight is on your heels at times, so you’re not being able to spring forward as quickly. With its style inspired by the Wembley archway, the A-Frame lacing system offers a tight fit cradling the mid foot area and is a great mechanism for maintaining your laces tightness. The Fast Flex groove in the outsole really allows for greater flexibility and helps you accelerate after that cross-field ball. Without any real “gimmicks”or technologies involved in the football boot, Umbro played off the marketing side of the boot well with a light-hearted, nostalgic take on them. 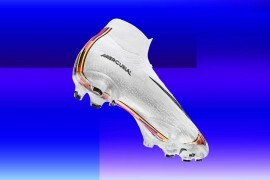 Having worn the past few generations of the Vapor line consistently, these boots have brought me back to my senses. 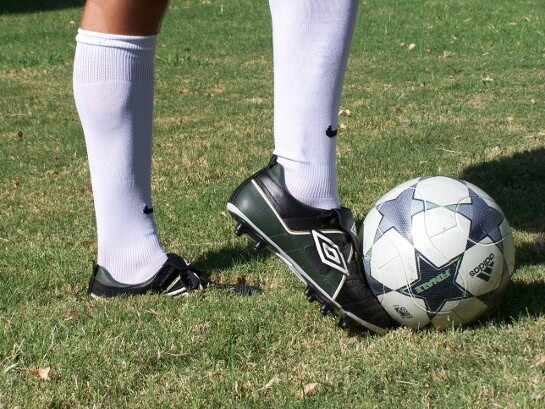 With the Speciali you truly get your money’s worth along with a clean, classic look so your skill can do the talking on the field for you. Nike’s influence seems to have rejuvenated the design team at Umbro and I’m glad to say they’re back with much higher standards and a completely new feel. The Speciali really are a homage to football boot heritage and are very underrated in my eyes. Umbro really took it back to the basics with this football boot, and it shows the useless gimmicks costing you another 30 quid just aren’t worth it. Top job Matt, as ever. Delighted to see Footy Boots has listened to the punters re these reviews. Keep them coming please. 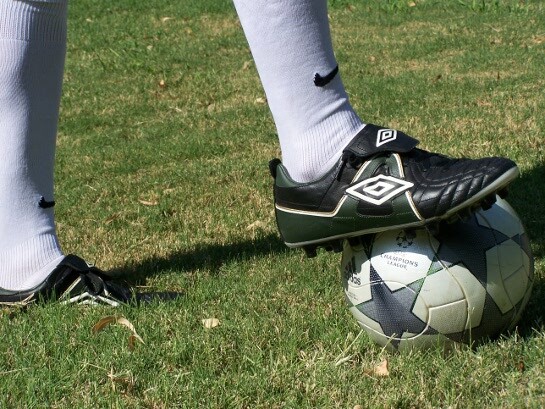 Puma Kings, Adidas Adipure ii’s, Umbro Speciali and Nike Tiempo iii’s are the best boots because they give you touch. Vapors and F50i’s and all those other lightweight boots aren’t good because you get the same touch, if not better, in leather boots, they offer more saftey to the foot and are more reliable. Plus, the lightweight stuff doesn’t even make you faster. 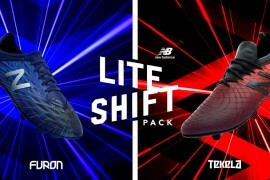 T90 Lasers and Predators PowerSwerve’s and all those other boots that are supposed to help you with your shooting, are a little bit better than that light stuff, but are more expensive because that bull**it technology stuff that make your kick swerve or go further. Football has turned into science rather than the beautiful game it once was. you only need a ball and some feet!!! sorry i made an error in the above coment. ****leather boots**** offer more saftey to the foot and are more reliable. Totally right, coulnt agree more. Puma Kings, Adidas World Cups, Speciali’s and MAYBE these Tempo’s are all old fashioned boots, released years ago an improbed with modern technology. Brands dont need to release new flashy boots, its only to make money. If you have the four boots above, you shouldnt need more releases. I saw a 30-year-old adult wear the Ăâ€šĂ‚ÂŁ30 cheaper new F-10’s on Saturday, It just looked stupid. At first I thought it was the plastic bag the boots we carried home in, not the boots themselves! I dreaming of the pair of boot, Right one is Nike, Left one is Umbro. This boot will included the all of Nike and Umbro Technology. 5555 Superb!!! these are basically the same model as the english limited edition whiteout ones, yes? and the white with touches of red colorway is quite nice looking as well. West Texas oh lord…I live in San Antonio and I have to get my training in before the sun comes up. Where are you? Waco? El Paso? Thanks Fenboy, always great to hear positive feedback! Meji- Yes, the heat here in San Angelo is nearly unbearable at times! Quality – I’ve got a lad on my team who insists ‘there are no boots beyond the Copa’s and the Speciali’ so I guess he’ll be pleased with the new iteration too! I’ll be seriously considering these for winter, thanks Matt! Hi Callum, I have it good authority that none of the footy-boots.com writers get paid anything! I know I am well late on the comments for this boot, but I would just like to say that this review has helped me immensely. I needed a new comfortable boot that I could use for training and these were chosen from a very large sample by me (I’m awfully stringent on what I purchase). They were on sale fortunately, and they are delightful. Hi im about to order these in a few days and just had one question about sizing. I wear a size 11.5US in adidas samba, so should i order an 11.5 Speciali? Are these the HG version? And if so, how do they work on FG? Just got the white/gold wc edition on sale on kitbag. They are all the boot I expected and more! Great looks, all my mates are commenting on them and I have the classiest boots by far in my league. Very light and with great feel on the ball, I now understand why so many players are reluctant to change out of them especially cultured centre-backs and powerful strikers. The stud thing might be a problem later but for now I’m satisfied with the response and I actually like how flat they are because I’m recovering from an ankle injury and this placement increases stability and comfort. I was surprised how light they are, the k-leather is concentrated in the front but tbh that’s the only place they are needed to give you that touch. 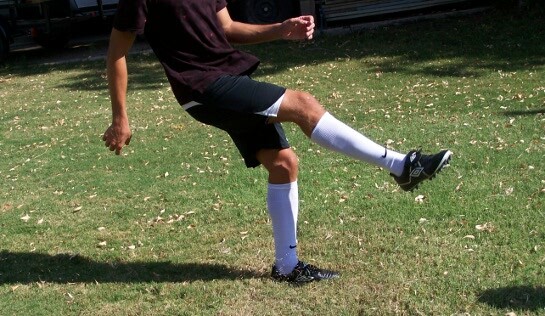 I like boots that allow me to express my natural game and these are definitely in that category! what size should i get if im a size US12 in nike t90’s? I’ve just picked these up in white/gold (SG) for ÂŁ20. I’m looking forward to the winter already.